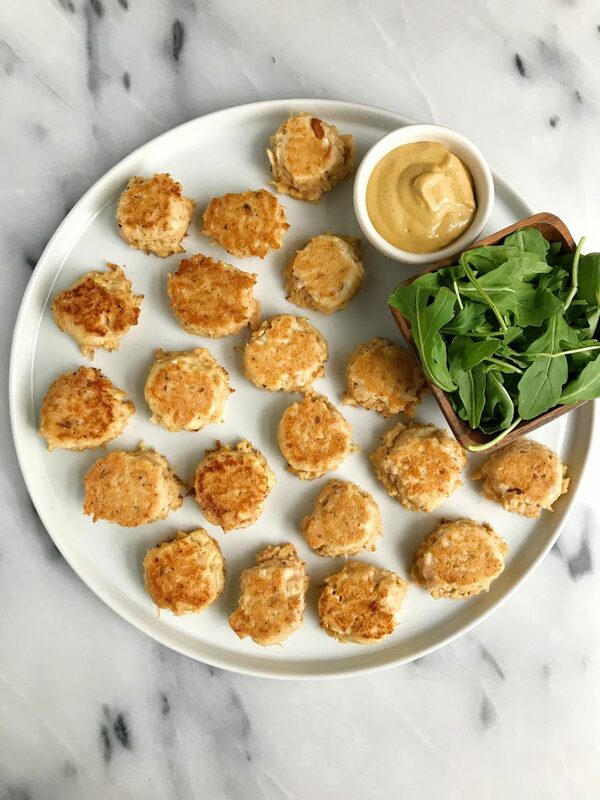 4-ingredient Mini Tuna Cakes that are Whole30, gluten-free and healthy ingredients! Two savory recipes in a row.. what blog is this anyway?? Crazy, I know. I am not one for too many savory eats on here (you guys seem to love dessert and sweet breakfasts as much as I do!) but I am so excited to be bringing you another deliciously EASY savory recipe this week. 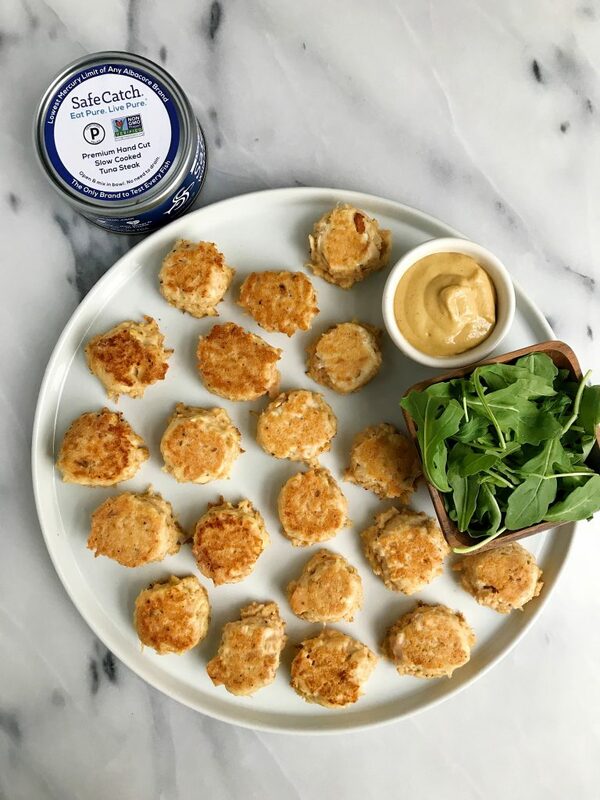 4-ingredient (yes, just 4) Mini Tuna Cakes aka mine and Jord’s current favorite way to eat tuna these days. Whenever we get home late or don’t know what to make for dinner, it is either eggs or tuna. Likely because we already have it in the house and there are endless possibilities. I have shared tuna tacos, thai tuna burgers, tuna sushi stacks, tuna club sandwich and more on the blog with you. All featuring my absolute favorite canned tuna from Safe Catch. Safe Catch is the most pure and tasty tuna I have had in a can. It is premium hand cut, slow cooked and it is the lowest in mercury compared to any albacore brand. Plus they’re the only brand to test every single fish. I am so cautious about where my animal protein is from and I love brands like Safe Catch that are making our lives simpler and better by providing quality products. 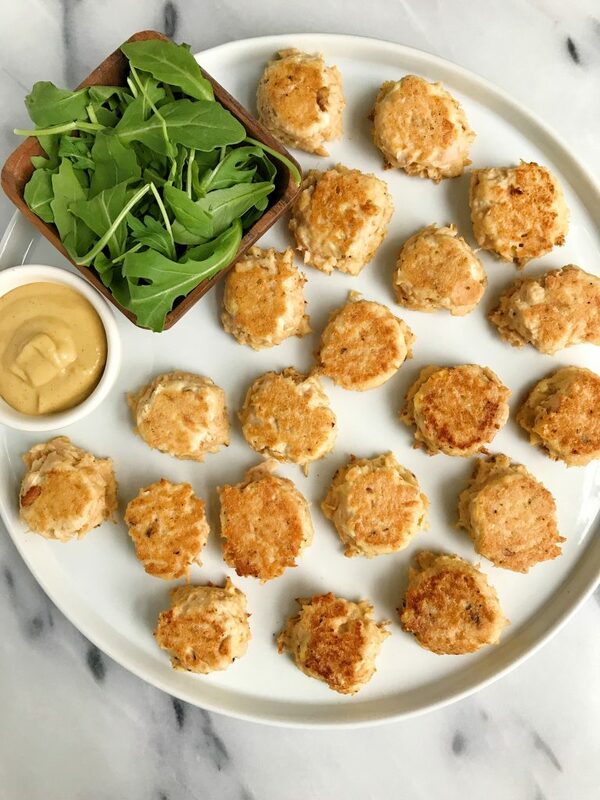 These mini tuna cakes are EPIC and such an easy way to switch up the usual tuna recipe. All you need are four ingredients and a few minutes to make them. They pair perfectly with some honey mustard or you can throw some onto tortillas and have some tacos. Put them onto a salad or in a grain bowl, YUM! Plus these mini cakes are Whole30-approved, so pin this recipe for next month! Remove from heat and enjoy with your favorite salad, in tacos, anything! Thank you Safe Catch Foods for sponsoring this post. It means so much to me to work with brands that I love and who support rachLmansfield! Can you make these with regular flour too? I made these for dinner tonight. I added a diced jalapeño and dipped them in hummus and salsa. So good. I can’t wait to experiment more! omg YUM sounds so good! Just made these today! By far the easiest recipe I’ve found for these. I made them with salmon and threw in some scallions. Perfection! I think I’ll try it with shredded chicken as well! I made these tonight and replaced the almond flour with 2 tablespoons of coconut flour, fried them in coconut oil, served topped with a brushetta, avacado slices, sliced cherry tomatos, spritzed with lime, and oven roasted sweet potatos with coconut oil, garlic, salt and pepper with a garnish of cinnamon. Oh my…a definate pass along!